With many people out at New Year’s Eve parties and gatherings, Monday night proved to be a busy one for taxi and limousine drivers across the metro. KANSAS CITY, Mo. 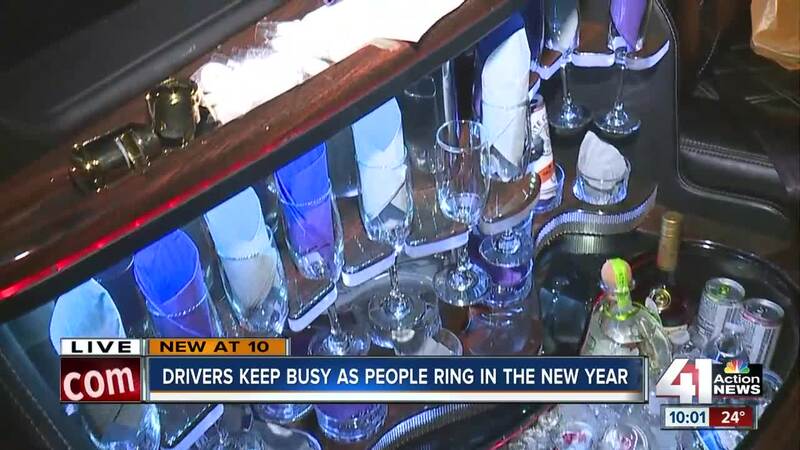 — With many people out at New Year’s Eve parties and gatherings, Monday night proved to be a busy one for taxi and limousine drivers across the metro. Leader Worldwide Chauffeur Services, which operates luxury limousines and is based out of offices at Wheeler Downtown Airport, said it was fully booked leading into the holiday and had over 100 customers to drive around for New Year’s Eve. Heinrich showed 41 Action News around one of the luxury limousines before he headed out to pick up a group of passengers. Preparations for the big night included stocking up the bar inside and cleaning the car for a big night ahead. While taking passengers to and from gatherings, Heinrich told 41 Action News that keeping everyone safe is his primary goal. With a busy night on New Year’s Eve, Heinrich said he and other drivers around the metro played an important role for the holiday.